Want to cuddle with Amanda? Hello there! I’m Amanda, but you can call me AmTan. I firmly believe that everyone needs and deserves love and comfort; to be seen, understood, and accepted; to feel connected to others, and to feel the reassurance of another human’s touch. Though we are all unique beings, we are all the same on the inside, and we all want the same thing- to be loved. I’m here for you and I’d be more than honored to extend my (purely platonic) love to you. I specialize in conversation, listening, hand holding, hand massages, scalp massages, neck and shoulder massages, sustained eye contact, and cuddling of all sorts. My joy is to bring you comfort and to relieve your stress, to help you feel welcomed and accepted by building a meaningful connection between us through loving acceptance and reassuring, platonic human touch. 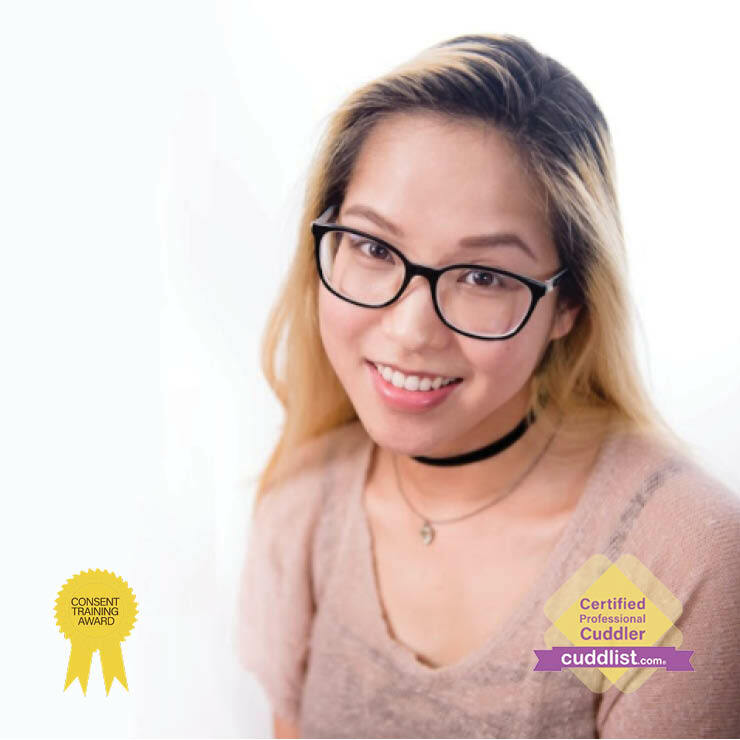 Please kindly shower before your session and strictly adhere to the Cuddlist code of conduct. I conduct my sessions in my bedroom with the door closed. I do not own any pets. Music and temperature control are available options. We begin by creating a comfortable consensual verbal agreement, a breathing exercise to get in tuned with our bodies, and allow individual preferences to guide us from there. Each session is unique, and I encourage my clients to identify and speak their wants and needs as a practice of self growth, communication, and acceptance. I assure you this is a judgement free zone :). Street parking is plenty and free.